New poster for Return To Sender featuring Rosamund Pike; Set for U.S. Theater and VOD release August 14th! A new International poster (above via Rosamund Pike Fans on FB) has been released for the upcoming psychological thriller Return To Sender starring Rosamund Pike, Shiloh Fernandez, Nick Nolte, Rumer Willis, Camryn Manheim, Illeana Douglas, and Scout Taylor-Compton. Last May, the trailer has been released and Image Entertainment has acquired the U.S. distribution rights for the film. It is set for a U.S. Theater release and VOD (video on demand) on August 14th! Jena Maloneattended today with co-stars Jennifer Lawrence, Josh Hutcherson, and Willow Shields at The Hunger Games Exhibition in New York. The THG Exhibition opens July 1st. 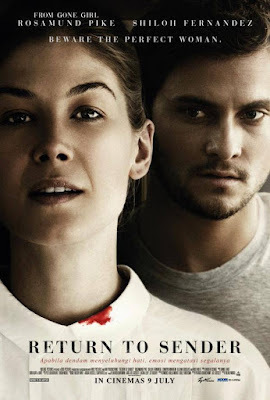 Rosamund Pike wins Best Actress and Gone Girl wins Best Thriller Film in Saturn Awards 2015! 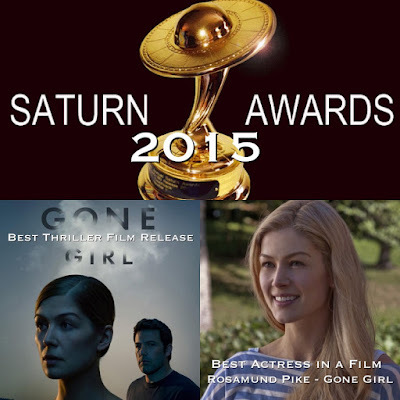 The 41st Annual Saturn Awards 2015 was held yesterday in Burbank, California and Oscar NomineeRosamund Pike (as Amazing Amy Dunne)and her breakout film Gone Girlboth won the Saturn Award for the following categories: Best Actress in Film and Best Thriller Film Release. Yay, congrats to RP and GG film! 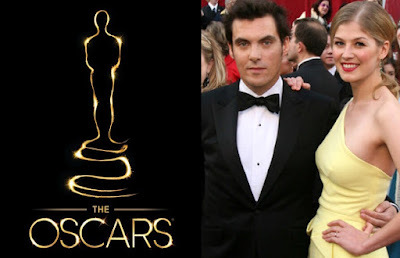 The Academy of Motion Picture Arts and Sciences has released yesterday its list of new member invitees, 322 of Artists and Executives including Pride & Prejudice director Joe Wright(who should've been invited years ago after P&P was nominated with 4 Oscars!) and his former fiancée, also P&P star and recent Academy Award nomineeRosamund Pike(see a photo of her above via Getty Images with Joe at the 2008 Oscars when they were still together). They were both in the list of 2015 invitees to join the Academy as members. 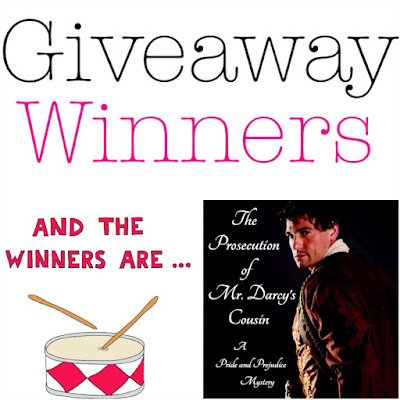 Winners of Regina Jeffers' The Prosecution of Mr. Darcy's Cousin Giveaway! First, I would like to thank Regina Jeffers for making this blog her first stop of her new book, The Prosecution of Mr. Darcy's Cousin's Blog Tour. 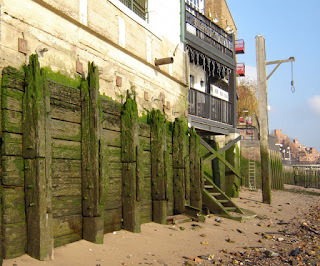 Also, thanks Regina for guest blogging her and doing a giveaway here as well. And thank you to those of you, dear readers, for entering and leaving your comments on Regina's giveaway. The winners were picked via Random.org by Regina herself. I recently saw Far From The Madding Crowd starring Carey Mulligan. 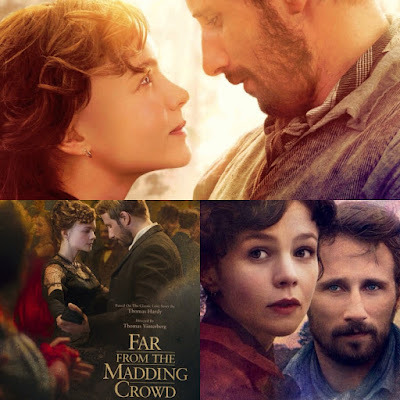 I just posted my full Film Review: Far From The Madding Crowdin my other blog, In The Mood For Movies, where I post my general movie reviews (of the movies I've seen in theaters). 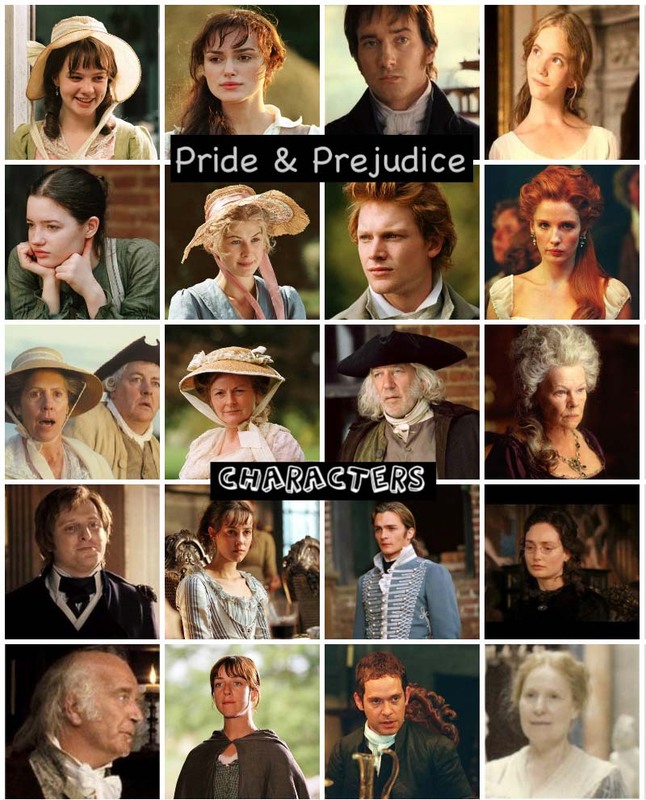 SDCC 2015: Pride and Prejudice and Zombies cast including Lily James, Sam Riley, and director Burr Steers to be at Comic-Con in July and will debut first footage of film! 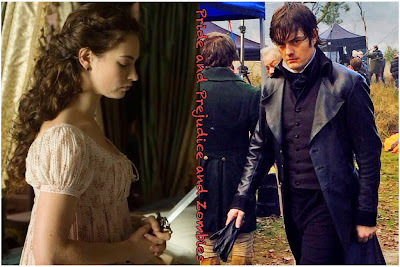 According to Deadline, Screen Gems confirmed yesterday that it will debut the first footage from its horror-lit mashup Pride and Prejudice and Zombiesand action thriller Patient Zero at the Con. 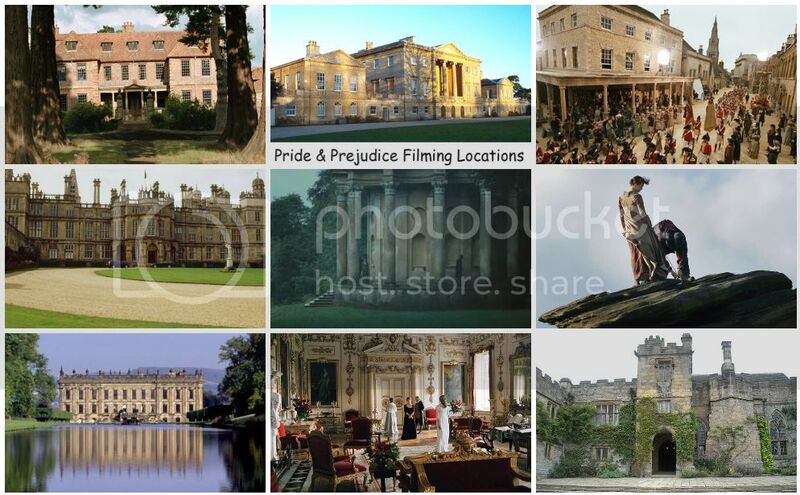 Its July 11 panel will feature P&P&Z cast including Lily James, Sam Riley, Bella Heathcote, Douglas Booth, Jack Huston and Matt Smith along with director Burr Steers and the book’s author Seth Grahame-Smith. The film's US Theater release date now has been moved up a week early from February 19th toFebruary 5th, 2016! The 2015 Comic-Con runs from July 9-12 at the San Diego Convention Center. 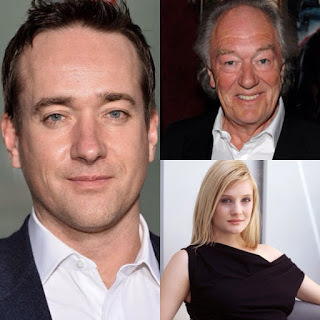 ITV announced today in an official Press Release that Matthew Macfadyenhas joined the stellar ensemble cast of their upcoming new drama, Churchill's Secret. 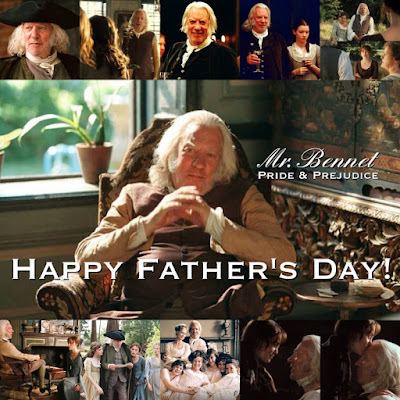 I've read about this new drama and casting of Michael Gambon (he previously co-starred with MM in Perfect Strangers aka Almost Strangers TV Mini-series back in 2001 and in a play, King Henry IV in 2005) last week and was thinking MM should be on this and now he is! Wow, I couldn't believe it when I saw his name on the casting announcement...had to do a double check, haha! So glad he's part of this as I'm sure this will be a great drama to watch. I'm also glad that this will be showing on PBS next year! Another new period drama with Matthew to look forward to! 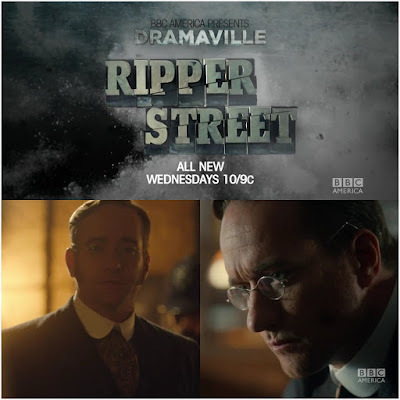 Tonight the third season of BBC America's crime mini-seriesRipper Streetstarring Matthew Macfadyen (as Detective Inspector Edmund Reid) concludes with Episode 8 at 10/9c. Jerome Flynn, and Adam Rothenbergalso star. Episode 8 | Original Air Date: 17 June, 2015 The team of H Division inch ever closer to the truth about the train robbery. 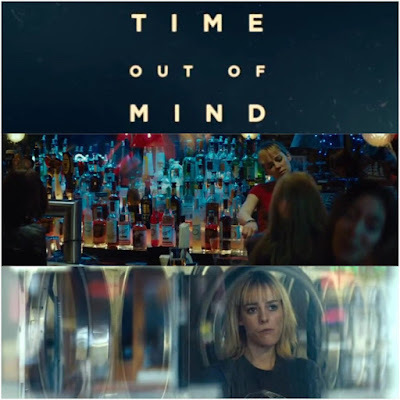 A trailer has been released for Jena Malone's upcoming new indie film, Time Out of Mindwith Richard Gere. Time Out of Mind opens in limited release this September. 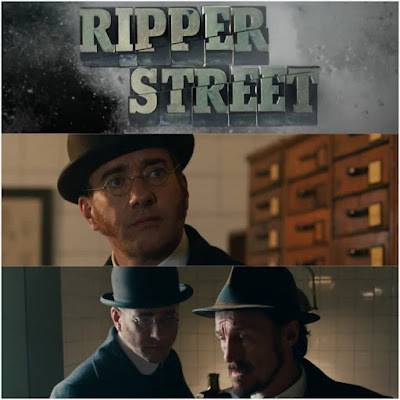 Tonight the third season of BBC America's crime mini-seriesRipper Streetstarring Matthew Macfadyen (as Detective Inspector Edmund Reid) continues with Episode 7 at 10/9c. Jerome Flynn, and Adam Rothenbergalso star. Episode 7 | Original Air Date: 10 June, 2015 The murder of a chemist leads the team into the shadowy underworld of illegal abortionists. Watch: Donald Sutherland and Jena Malone in the first teaser trailer of The Hunger Games: Mockingjay - Part 2! 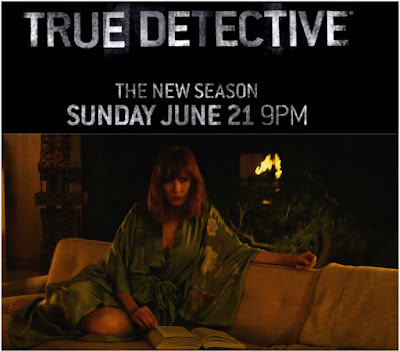 Another glimpse of Kelly Reilly, who is returning to TV this summer with a regular role (as Morgan), in one of the two new 30 second trailers of Season 2 of HBO's hit crime drama series True Detective, with a new ensemble cast such as Colin Farrell (Kelly's co-star in Triage movie), Taylor Kitsch, Rachel McAdams (Kelly's co-star in Sherlock Holmes 1&2 movies), and Vince Vaughn. Last night, first time Tony Award nomineeCarey Mulligan attended the 2015 Tony Awards at Radio City Music Hall on June 7, 2015 in New York City. Unfortunately, Carey and co-stars Bill Nighy and Matthew Beard all lost their nominations for Best Performances by an Actress and Actor in Leading Roles and Best Performance in a Featured role respectively, but their play Skylight did win one Tony Award (out of 7 nominations) for Best Revival Play. Yay, congrats to the Skylight cast and crew! See a full list of 2015 Tony Award Winners here. 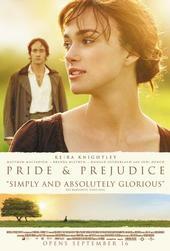 Last night (June 5th), there was another back-to-back airing of Joe Wright's 2005Pride & Prejudice movie starring Keira Knightley & Matthew Macfadyen on TV, this time on Bravo channel. I previously posted about this last May 24th, when it aired twice in a row on Oxygen. I guess this will be a series of posts whenever this movie is broadcast on TV (and If I get a chance to see it and live tweet it). 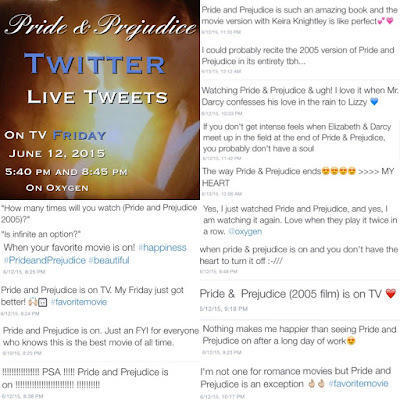 I didn't expect to have live tweeted, but I'm glad I did as I always have a lot fun with other fans who live tweeted and stayed up late just to watch this movie over and over again (with all 3 of these hashtags: #pandp2005, #Pride&Prejudice, and #PrideandPrejudice) on Twitter last night, to watch and live tweet at the same time with fellow fans of this movie. 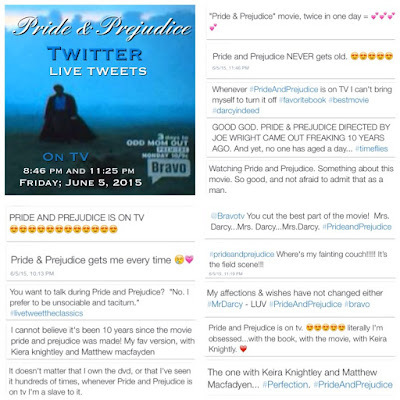 So many fans (and even a few non-fans) live tweeted randomly too during the back-to-back airing. Great news for those of us in the US/Canada and UK who wants to see Matthew Macfadyen (new on set photo by Lionsgate) in his upcoming film The von Trapp Family: A Life of Music (there's finally a page for it on IMDB) movie in theaters/Cinemas as Lionsgate (The Hunger Games Movies) has acquired both the US/Canada and UK distribution rights to release it for a planned Christmas 2015 theatrical release! The movie was said to wrapped up filming this week in Salzburg with MM, director Ben Verbong and co-stars Yvonne Catterfeld, Eliza Bennett. Germany and Austria get to see it first as it will premiere there in November 2015. Both Universal Pictures and Working Title Films has just released today the first U.S. and Internationaltrailers for director Baltasar Kormakur's (2 Guns) epic survival drama Everest. Inspired by real events and written by Mark Medoff (Children of a Lesser God) and Simon Beaufoy (Slumdog MIllionaire), the movie documents on two different expeditions and climbers struggle to survive as they attempt to reach the summit of the world's highest mountain. This is a Working Title Films produced film and Universal Pictures will distribute worldwide. The film opens U.S. 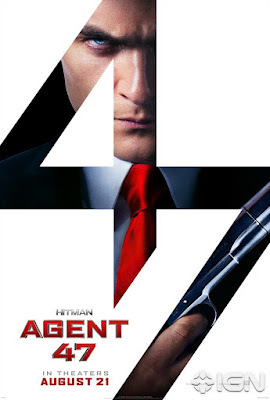 Theaters in 2D, 3D, and IMAX 3D on September 18th and stars Jason Clarke, Josh Brolin, John Hawkes, Jake Gyllenhaal, Sam Worthington, Robin Wright, Emily Watson, and Keira Knightley (as Jan Hall). 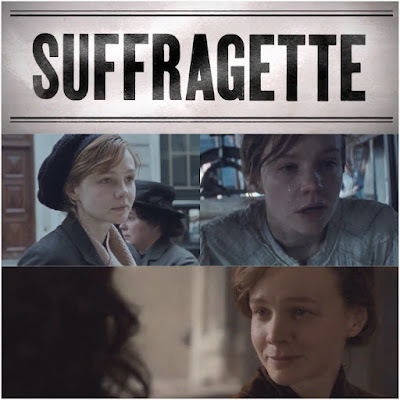 Watch: Carey Mulligan in first official trailer for Suffragette! Last April the UK teaser trailer for Suffragette starring Carey Mulligan, Meryl Streep, and Helena Bonham Carter was released. Now, the first full-length trailer (wow, it looks amazing and Carey'sknocking it out of the park and that's just the trailer! She's definitely going to get another Oscar nod for this role! I can't wait to see her in this movie!) has just been released today along with the news this morning, according to Deadline, it will open the 59th BFI London Film Festival. The film will receive its European premiere on Wednesday, October 7 at the Odeon Leicester Square, attended by the filmmakers and cast with a live cinecast from the red carpet and simultaneous screenings taking place at cinemas across the UK. On TV Tonight: Watch Matthew Macfadyen in Season 3 - Episode 6 of Ripper Street on BBC America! 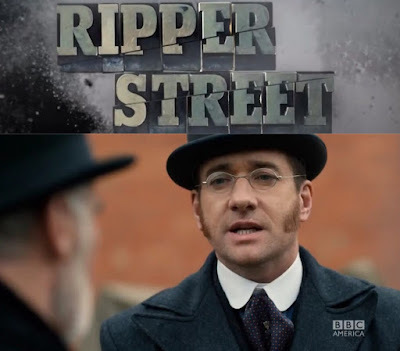 Tonight the third season of BBC America's crime mini-seriesRipper Streetstarring Matthew Macfadyen (as Detective Inspector Edmund Reid) continues with Episode 6 at 10/9c. Jerome Flynn, and Adam Rothenbergalso star. Episode 6 | Original Air Date: 3 June, 2015 The corrupt streets of Whitechapel witness a new breed of tourist from the higher realms of society. 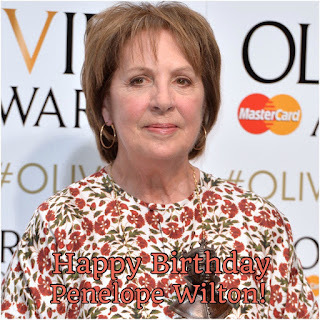 Celebrating a birthday today (June 3rd) is the recent Olivier Award winner and Downton Abbey's Penelope Wilton(co-stars asIsobel Crawley), best known to us P&P movie fans as Mrs. Gardiner, Elizabeth Bennet's favorite aunt in thePride & Prejudice (2005) film. She also played Tom Hollander's mother in Wives and Daughters mini-series and co-starred with Rosamund Pike in W&D too as well as with her good friend Judi Dench in Iris and The Best Exotic Marigold Hotel/The Second Best Exotic Marigold Hotel films. Miss Wilton turns 69 years young today! New Matthew Macfadyen photos from The Trapp Family movie set! Matthew Macfadyen is back on set of his upcoming film The Trapp Family: A Life of Music as filming resumes with director Ben Verbong and co-stars Yvonne Catterfeld, Eliza Bennett, and the rest of the cast. Several new on set photos of MM and co-stars has been released viaSalzburger Nachrichten and Rex Features. The film wraps up filming in mid-June of this month. It is planned for a theatrical release sometime later this year or early next year. It is scheduled to premiere in November 2015 in Salzburg Mozart Cinema. 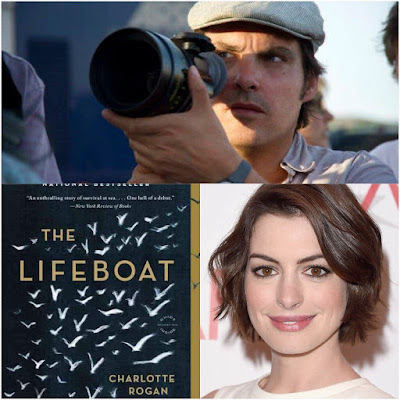 According to Deadline, director Joe Wright is in talks to direct Anne Hathaway (Becoming Jane) in the adaptation of Charlotte Rogan’s historical novel The Lifeboat. Hathaway is also producing along with Working Title Films and Focus Features (both production company and distributor of JW's Pride & Prejudice, Atonement, and Anna Karenina films). New The Hunger Games: Mockingjay - Part 2's official poster featuring Donald Sutherland's President Snow! A newofficial poster (see above) for The Hunger Games: Mockingjay - Part 2 (Donald Sutherlandas President Snow and Jena Maloneas Johanna Mason co-star) has been released by Lionsgate and it featured a broken statue of President Snow as played by Donald Sutherland, which contained an expected symbol (in red color) of resistance: a Mockingjay in full flight, wings and feathers aflame. 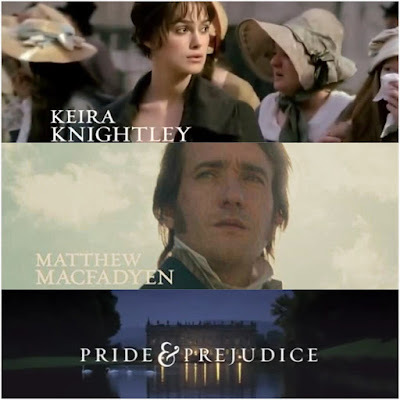 I previously posted this here almost a few years ago, but I thought It's worth posting it here again as it's been exactly 10 years ago (June 1st, 2005) today since the first UK trailer for Joe Wright's P&Pmovie was released by Working Title Films (then Working Title Productions). 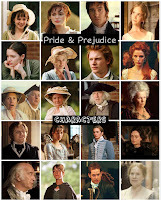 So, in celebration today of Pride & Prejudice (2005) film's 10 ten years anniversary of its first full-length UK Trailer release (June 1, 2005), I am re-posting both the UK and US trailers here.